First up is The Passionate Brood by Margaret Campbell Barnes, which I received from Sourcebooks Publishing for review. 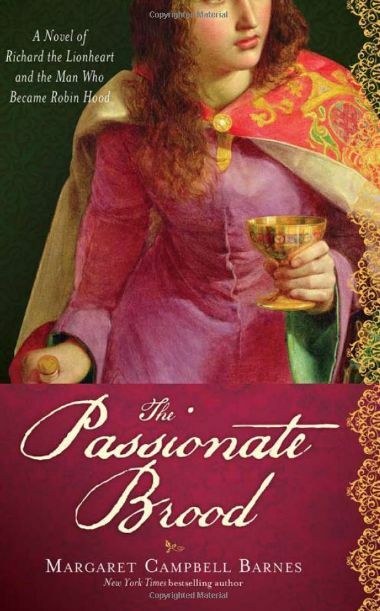 SYNOPSIS: In this compelling novel of love, loyalty, and lost chances, Margaret Campbell Barnes gives readers a new perspective on Richard the Lionheart's triumphs and tragedies. Drawing on folklore, Barnes explores what might have happened if King Richard's foster brother were none other than Robin Hood, a legendary figure more vibrant than most in authentic history. Thick as thieves as Richard builds a kingdom and marshals a crusade, the two clash when Robin Hood so provokes the king's white hot temper that Richard banishes him. The Passionate Brood is a tale of a man driven to win back the Holy Land, beset by the guilt of casting out his childhood friend, and shouldering the burden of being the lionhearted leader of the Plantagenets. Next up is one that I posted about the other day. My husband, being the most magnificent man in the world surprised me with the new book by Ken Follett, the first book in his new Century Trilogy, Fall of Giants . I already started it, but have only gotten a few pages in due to my being sick. SYNOPSIS: Ken Follett's World Without End was a global phenomenon, a work of grand historical sweep, beloved by millions of readers and acclaimed by critics. 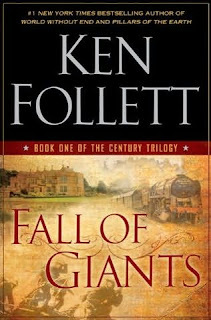 Fall of Giants is his magnificent new historical epic. The first novel in The Century Trilogy, it follows the fates of five interrelated families-American, German, Russian, English, and Welsh-as they move through the world-shaking dramas of the First World War, the Russian Revolution, and the struggle for women's suffrage. In future volumes of The Century Trilogy, subsequent generations of the same families will travel through the great events of the rest of the twentieth century, changing themselves-and the century itself. With passion and the hand of a master, Follett brings us into a world we thought we knew, but now will never seem the same again. 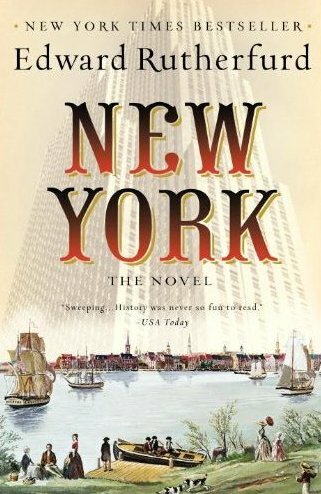 Thirdly, I picked up New York: The Novel by Edward Rutherfurd which has just been released in paperback. I really loved London by him and can't wait to check this one out! 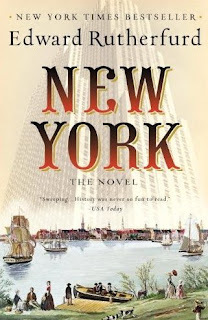 SYNOPSIS: Edward Rutherfurd celebrates America’s greatest city in a rich, engrossing saga, weaving together tales of families rich and poor, native-born and immigrant—a cast of fictional and true characters whose fates rise and fall and rise again with the city’s fortunes. From this intimate perspective we see New York’s humble beginnings as a tiny Indian fishing village, the arrival of Dutch and British merchants, the Revolutionary War, the emergence of the city as a great trading and financial center, the convulsions of the Civil War, the excesses of the Gilded Age, the explosion of immigration in the late nineteenth and early twentieth centuries, the trials of World War II, the near demise of New York in the 1970s and its roaring rebirth in the 1990s, and the attack on the World Trade Center. A stirring mix of battle, romance, family struggles, and personal triumphs, New York: The Novel gloriously captures the search for freedom and opportunity at the heart of our nation’s history. 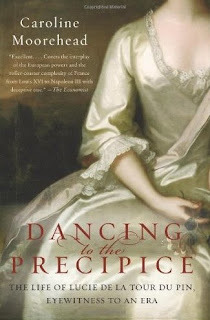 And last but certainly not least is Dancing to the Precipice by Caroline Moorehead, a non-fiction book about the life of Lucie de la Tour. I leafed through this book briefly yesterday when I got it and it looks soooo good. SYNOPSIS: Her canvases were the court of Louis XVI and Marie Antoinette; the Great Terror; America at the time of Washington and Jefferson; Paris under the Directoire and then under Napoleon; Regency London; the battle of Waterloo; and, for the last years of her life, the Italian ducal courts. She witnessed firsthand the demise of the French monarchy, the wave of the Revolution and the Reign of Terror, and the precipitous rise and fall of Napoleon. Lucie Dillon—a daughter of French and British nobility known in France by her married name, Lucie de la Tour du Pin—was the chronicler of her age. In this compelling biography, Caroline Moorehead illuminates the extraordinary life and remarkable achievements of this strong, witty, elegant, opinionated, and dynamic woman who survived personal tragedy and the devastation wrought by momentous historic events. 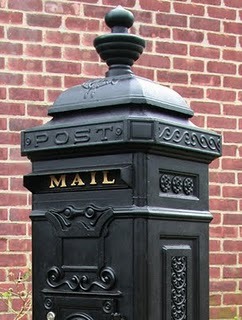 Well, that's my mailbox...how about yours? 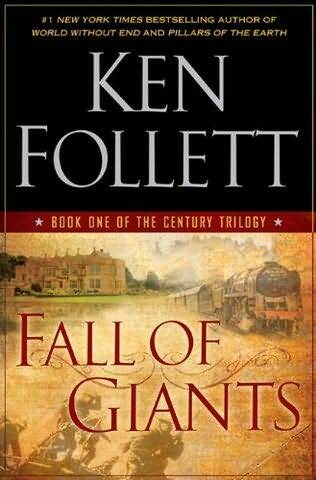 I am planning to read Fall of Giants. I haven't read Follett before so I have high hopes. I received the Passionate Brood as well. I would love the Rutherfurd. I adore his books. The London series was excellent. And what more can be said about Follet. I have read two of his and they were magnificent. The Rutherford looks very good. Follett I dont know very much about. wowww! So many good books! U have you have a great week ahead! You receieved some amazing books, Amy! The covers are just gorgeous, aren't they? Because it's set in the time period I write about, I'm reading The Sons Of Maxwell Perkins. If you'd like an inside look at Hemingway, Fitzgerald, or Thomas Wolfe, you see them at their best and worst here. Follett is sort of the king of historical fiction, isn't he? I've got FALL OF GIANTS sitting on my nightstand, waiting to be opened. Hard to believe a book that big is just first of three books! I love everything Rutherfurd, too. I enjoyed NEW YORK, although I think my favorite books by him are SARUM and LONDON. Great stuff. Fall of Giants arrived in my mailbox, last week, too, although I'm not sure when I'm actually going to start reading it. I'm looking forward to your review. Rutherford is one of my favourites, but I've not yet read New York. I hope you enjoy it.